You know you’ve entered a classy party when there’s a plate full of cheeses you’ve never heard of, served with the wines you know didn’t come from the gas station. Do you ever wonder how people put together these cheese plates, and if you could ever put one together for your own future sophisticated get-togethers? Well, here are some guidelines to serving a cheese plate. Serve a variety. Cheese is incredibly diverse, with all kinds of textures and flavors made with different kinds of milk. Offer a selection of breads and condiments. Try a sliced baguette, crackers, mustards and jams. You can also add some cured meats to the plate for something salty to offset the creamy cheese. Fresh fruit is never a disappointment, either. 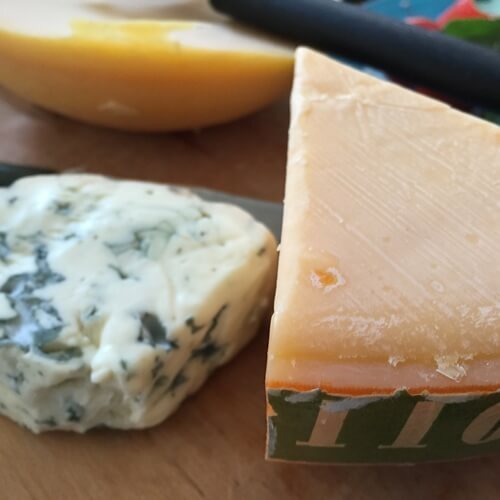 Label the cheeses so your guests know exactly what they’re eating. This way, you won’t have to keep saying the names. Consider writing a little description of the cheese’s flavor near the board as well. Cut the cheese ahead of time. Not so early that the cheese dries out, but don’t have your guests cut the cheese on their own. It’ll just take time and make a mess of the board. Cut the wedge or brick into strips that can be eaten in one or two bites. Go too crazy. Serve at least one familiar cheese so the less-adventurous guests can still enjoy it. Overload the platter. Four or five cheeses is enough. Don’t allow the strong-smelling cheeses to touch each other or sit too close to the mild cheese. Serve the cheese straight from the refrigerator. Allow it to sit at room temperature for about an hour before serving. Since hard, aged cheese is preserved, it actually doesn’t need to be refrigerated at all. Serve flavored cheese. At least don’t include it as part of the cheese platter. Instead, serve it on another plate for the cheese heathens to eat from. If you don’t know where to begin with your cheese plate, consider these cheese classifications. Choose a few types of cheese, and serve one of each type on your platter. Soft, fresh cheese: Chevre, feta, mozzarella. Soft or rind-ripened cheese: Brie, limburger, taleggio. Semi-soft cheese: Morbier, caciotta, port-salut. Blue-veined cheese: Gorgonzola, stilton, Point Reyes. Hard cheese: Cheddar, gouda, Gruyere. Very hard cheese: Parmigiano-Reggiano, pecorino romano, dry Monterey Jack. Some people splurge on one or two high-end cheeses as the stars of the evening and some hosts decide to take their guests on a cheese tour of a particular region or country. Whichever method you choose for your cheese platter, it’s sure to be a hit among guests if prepared properly. If you’re serving cheese as an appetizer or an hors d’oeuvre for a dinner party, plan for three or four ounces per person. 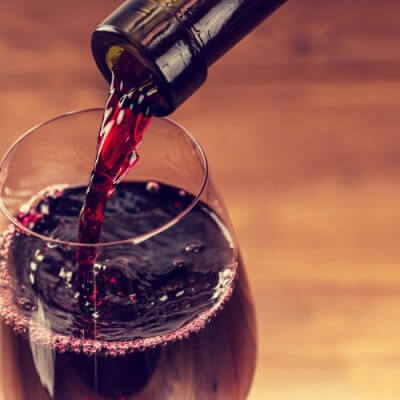 However, if you’re having a wine tasting or a party in which cheese is the only food being served, purchase about three pounds for every eight people in attendance.